In this article we will develop an Android application that demonstrates how to create a searchview widget in action bar using ActionBarCompat library. This application facilitates users to search places using Google Places API. As user types in place name in searchview, places that matches the typed in characters will be listed as suggestions. 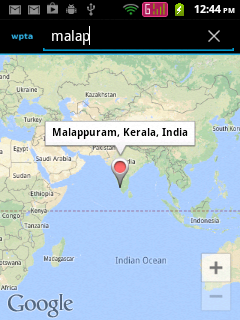 On selecting an item from the suggestion, the corresponding place will be shown in the Google Maps Android API V2. 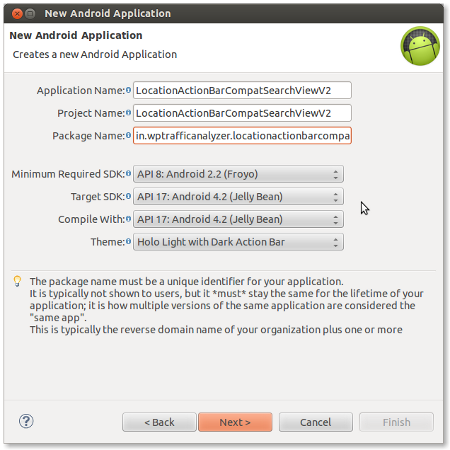 ActionBarCompat library : We know that, SearchView widget is only available since Android API Level 11 and its previous versions does not have the SearchView widget. In order for the backward compatibility, we can use ActionBarCompat library which is available with Android Support library revision 18. 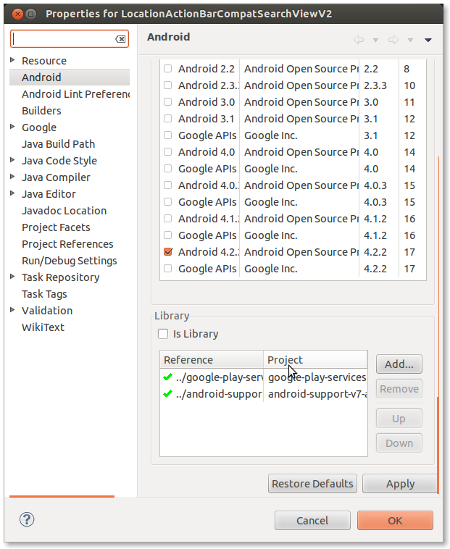 Google Play Services Library : Since we are using Google Maps Android API V2 with this application, we need Google Play Service library for this application to work. Searchable Activity : An activity that handles the search requests from searchview widget. 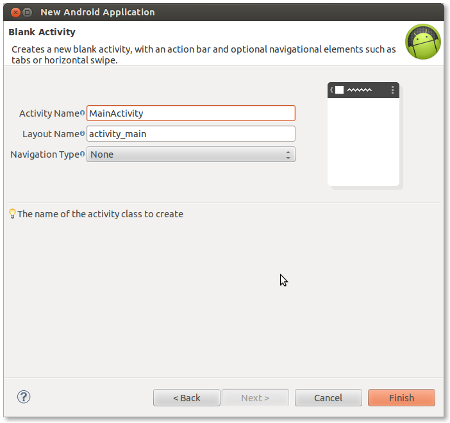 In this application, MainActivity acts as the searchable activity. Content Provider : The searchview widget performs the search operation on the data provided by the content provider. Loaders : Loaders are used to execute tasks in background ( non-ui thread ) . We are using two loaders in the MainActivity class. One loader is used in the method doSearch() which is invoked when user presses the “Go” button of the soft keyboard. The second loader is used in the method “getPlace()”, which is invoked when an item in the search suggestion list is selected. 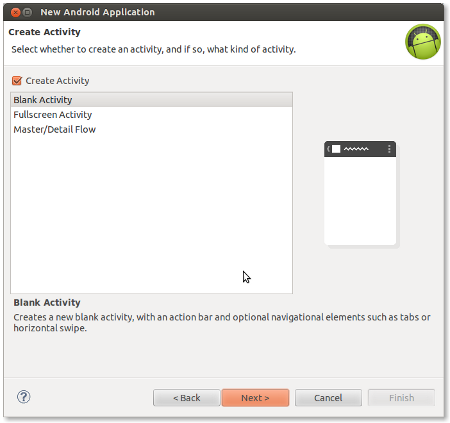 Activity Style : The activity that implements the action bar should apply the style Theme.AppCompat or Theme.AppCompat.Light or Theme.AppCompat.DarkActionBar. This can be done in AndroidManifest.xml file. 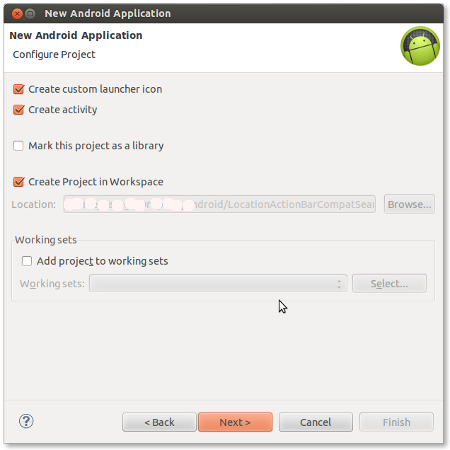 This application is developed in Eclipse 4.2.0 with ADT plugin 22.0.5, Android Support library 18 and Google Play Service library 9. Please jump to end of this article to see the screenshots of this application. Note : Update “YOUR_BROWSER_KEY on line 39 with the browser key obtained in Step 10. 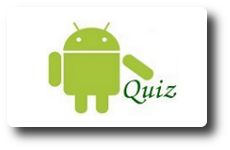 Note : Update “YOUR_ANDROID_API_KEY on line 76 with the Android API key obtained in Step 9. Good tutorial, but sorry it doesn’t work for me. I was trying to do something like this, but I didn’t understand how your main activity could call the method .getCountries(selectionArgs) on CountryContentProvider. I am not sure if this bug Is actually causing any problems. Hi great tutorial, thanks so much. I was struggling with the SearchView Widget for a long time. I think that is a component bug. Have you ever had this problem? i have a problem running your code. I have errors in MainActivity.java. Witch library i have to implements in your code?